Quality of the subgrade – the appropriate site investigation must be carried out with all soils fully described. Strength determination could be carried out by either plate load tests, CBR tests or vane tests. It is required that the upper two metres of ground across the likely area of the platform is defined within the investigation. Quality of the platform material – The specification of the platform material should be such that the performance requirements in term of compactibility, durability, trafficability and drainage will be met. Strengthening material – in some cases the use of Geogrid layer may prove economical to reduce the thickness of piling mat. 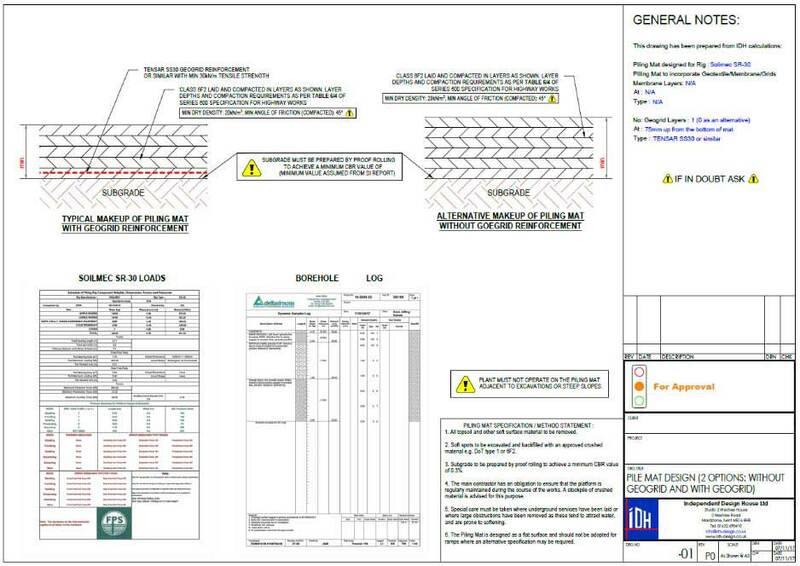 Loading – It is important for the designer to appreciate the distinction between the plant in its operational state and it moving across the platform. 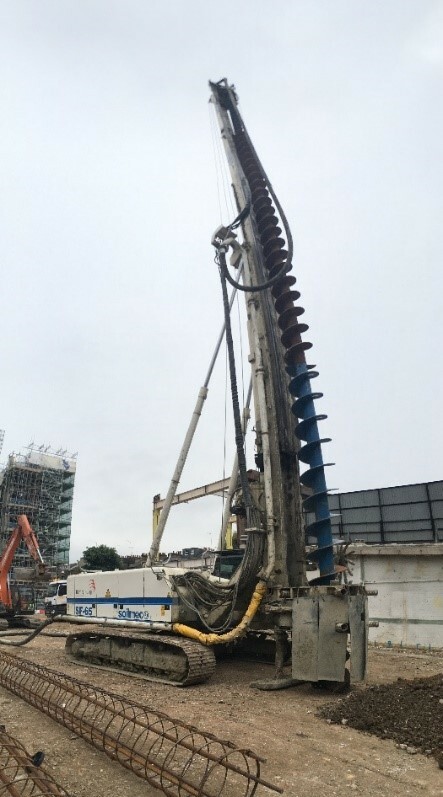 Taking a piling rig as an example, although the pressures under the tracks would be higher when piling it would also be operated by a competent operative who would be able to react quickly to a potential risk. Whilst the plant is in motion the same operative may not be a position to counteract any movement relation safety issues. Therefore the factors of safety for those two cases are considerably different. The subgrade can be granular or cohesive which leads to two design procedures and sets of equations to be used. Due to the original charts and procedures being quite extensive, a summary is provided below. This is compared with to establish if a platform is required. Should this be the case then a bearing check of the platform material is undertaken and satisfactory material established. 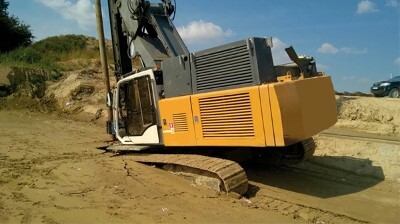 This is usually Type 1 or 6F2 compacted in layers as described in Specification for Highway Works, Series 600 and other authoritative documents. With a minimum platform thickness being the greater of half the track width of the light plant or 300mm, final evaluation to check cases 1 and 2 thicknesses and justification of outcome with experience completes the calculations.